Ensuring fair and secure voting is one of the major responsibilities of the election commission. Whether It’s India, United States or any other country, no one wants to have a government formed with biased polling. Though the Government strives to make the election process secure, the risk of hacking and eavesdropping doesn’t let them sleep at nights. 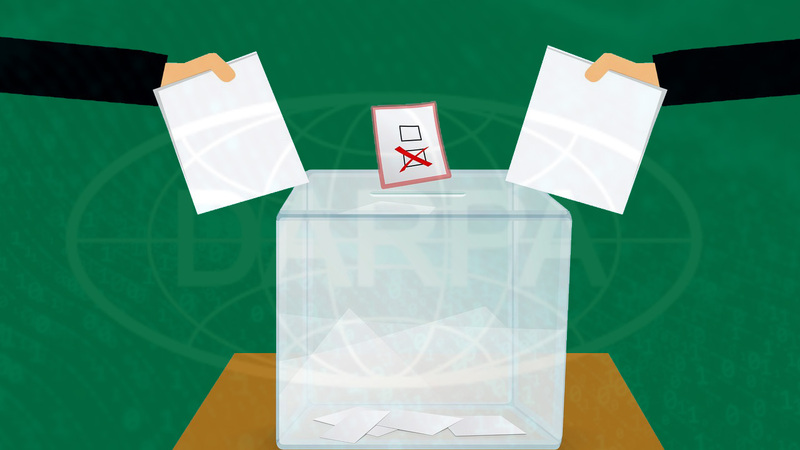 According to Motherboard, the Defense Advanced Research Projects Agency (DARPA) of the United States is building an open source secured voting system worth $10 Million. They have partnered Galois, Oregon based cybersecurity firm to develop this new system and make the voting system immune to hacking methods. It doesn’t mean that the current polling system is unsafe, but as soon as the system will be upgraded, the authorities can be ready for the upcoming challenges. The new voting system will not only prevent alteration of votes but also allow voters to ensure that their votes are properly recorded. DARPA is going to use open-source hardware from its own secure designs and techniques developed last year. The defense agency also ensures that the system will be transparent and fully verifiable. As the software is open source, the system will be tested by developers, external researchers, security enthusiasts, ethical hackers, etc. This will help them find bugs and flaws easily and fix them in the beta stage. The DARPA and Galois will also publish the source code online and conduct pen-testing sessions on prototypes in the 2019 Def Con Voting this year. “Def Con is great, but [hackers there] will not give us as many technical details as we want [about problems they find in the systems],” said Salmon. “Universities will perhaps provide more information including technical feedback. But we won’t have such high visibility when we do it with universities,” he also added. However, systems Galois designs will not be available for sale, but they are going to make the prototypes available for voting machine vendors and others to adopt the change quickly without spending a single penny on research, building such systems or even in paying licensing fees. They are basically doing the costly part of the job and will then show the outcomes that could be used by others to make the voting system completely secure.